For more than two decades, Oz Moving & Storage has been a leader in residential and commercial moving services. We’ve been successful because we’re more than just a neighborhood mover; we are neighborhood residents, neighborhood employees, and neighborhood business owners. This is our neighborhood too. That’s why we want to give back. Oz Moving & Storage supports our future. Oz annually gives out an Oz Moving Scholarship to a local college student who demonstrates virtue and character in our essay contest. We have special offers for members and veterans of the United States military and their families to thank them for their service. Through our committment to supporting the lives of others in our community who need it, Oz strives to serve the community that has served us so well over our more than 20 years in the moving business. Our graditude to this community is plentiful. Oz is proud to be part of our community, and even prouder to partner with great local charities such as Toys For Tots, NY Cares Coat Drive, MS Walk New York City, and the Susan G. Komen Race for the Cure. We were also pleased to be able to contribute monetary and operational services to victims of 9-11 through the Oz Foundation. 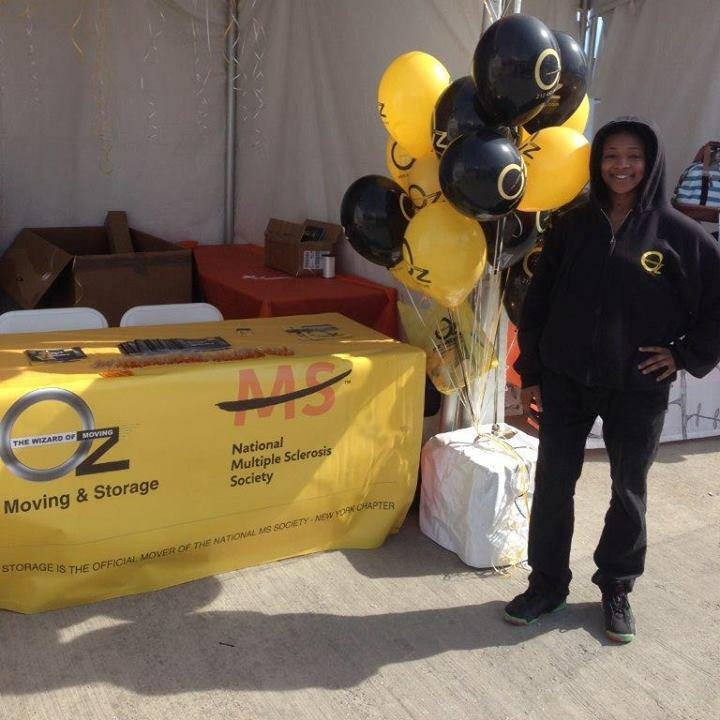 Oz Moving & Storage started in 1993 as a neighborhood moving company and continues to value its status in the neighborhoods we service. Thank you, New York City, for letting us work for and with you! Learn more about Oz and the great charities that we partner with in our Oz Moving Gives Back series. Oz are the official movers of the AIDS Walk New York.